Democrats on the House Committee on Natural Resources plan to remove a reference to God from an oath, which witnesses are required to take before providing testimony, according to a draft of committee rules obtained. The draft (pdf) shows the words “so help you God” in red brackets, indicating that the words will be removed if the draft rules are approved. Instead, the Democrats plan to add the words “under penalty of law” to the oath. 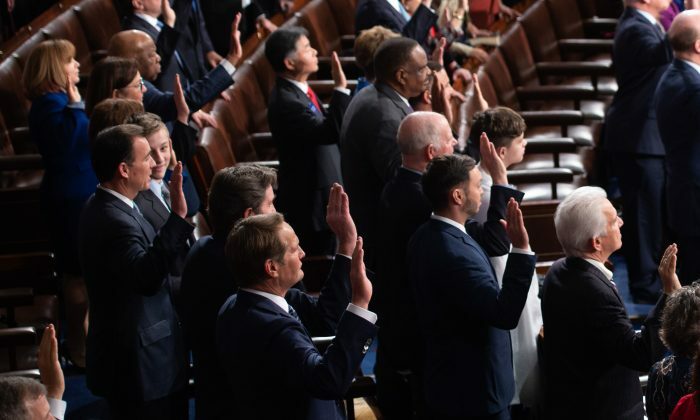 “Do you solemnly swear or affirm under penalty of law, that the testimony that you are about to give is the truth, the whole truth, and nothing but the truth,” the proposed oath states. 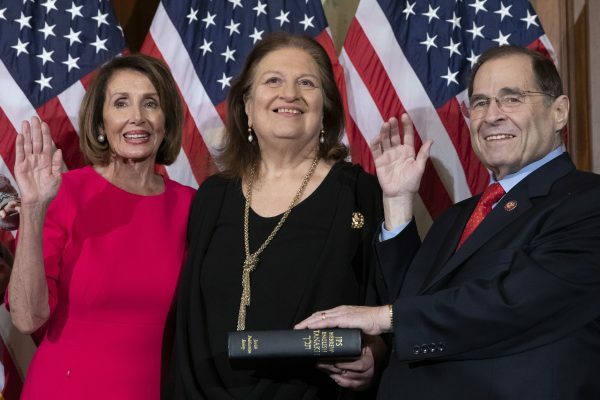 A top Republican congresswoman characterized the edits to the oath as indicative of a hard left shift for the Democratic Party. 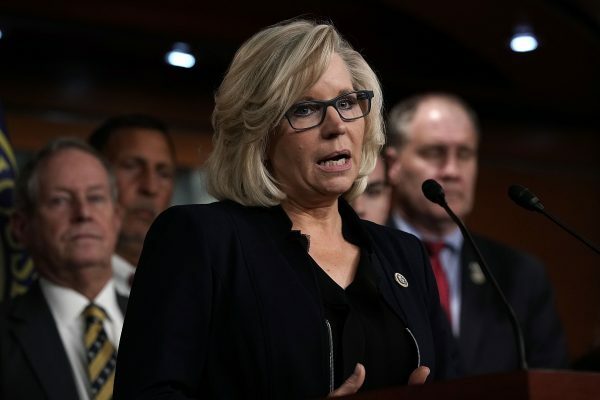 “It is incredible, but not surprising, that the Democrats would try to remove God from committee proceedings in one of their first acts in the majority,” House Republican Conference Chairwoman Liz Cheney (R-Wyo.) told Fox News. “They really have become the party of Karl Marx,” she said. 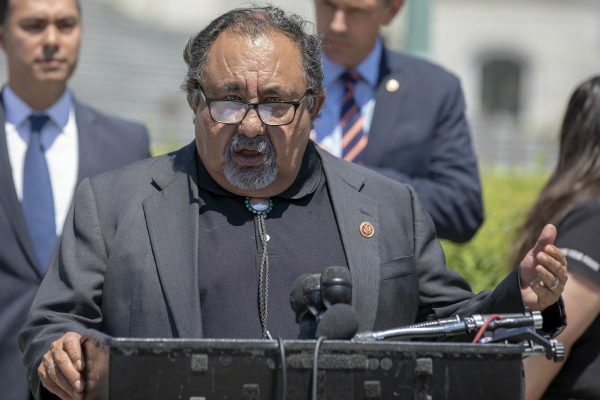 Arizona Democrat Raúl Grijalva is the chairman of the committee. The full committee is expected to vote on the new rules this week. Democrats have previously thought to strike references to God from key Party documents. In 2012, an uproar ensued on the floor of the Democratic National Convention (DNC) when party leaders sought to restore a reference to God to the Party platform. The reversal came about after criticism from Republicans about the reference being removed. The views on restoring the reference to God were far from uniform with a group of delegates yelling “No” as the convention chairman called for a vote. The chair had to call for the vote three times before concluding that the “Ayes” had it. A number of Democrats openly ran as socialists during the 2018 midterms. 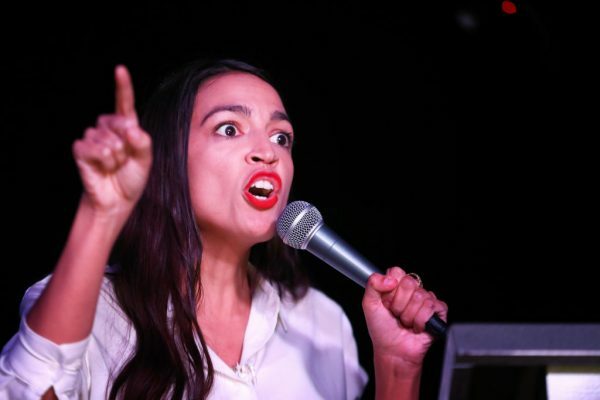 While most lost, Alexandria Ocasio-Cortez, a card-carrying member of the Democratic Socialists of America, won a congressional race in New York. An offshoot of Marxism, cultural Marxism focuses on culture instead of economics. The ideology is steeped in atheism and purports that there is no such thing as race and gender. Cultural Marxism’s central goal is to destroy traditional culture, with a specific focus on family values, faith, and love for one’s country. In an exclusive series by The Epoch Times, cultural Marxism is exposed as a form of communism used to infiltrate the West. The reporting specifically shows how the campaign to remove references to God traces back to communist ideology.